What does comfort food mean to you? For some, the phrase comfort food conjures up images of meatloaf, mashed potatoes, mac & cheese, chicken noodle soup, just to name a few. For me it’s this roasted chicken. But comfort food is more about emotions than a specific recipe–it’s about nostalgia… it’s about your favorite aunt whose kitchen always smelled of cinnamon rolls … it’s about that fried chicken your mom made every year for your birthday…. comfort food is about cherished memories, and that steaming bowl of chicken noodle is a place to escape the stresses of the world while it keeps you cozy and warm like a plush blanket on a cold winter’s day. This week’s #SundaySupper is all about comfort foods, which I’m sure you know is right up my alley. “It seems to me that our three basic needs, for food and security and love, are so mixed and mingled and entwined that we cannot straightly think of one without the others.” — M.F.K. Fisher, The Art of Eating. Love, security, family–it’s all intertwined, and to that end, Lee Woodruff’s new book Those We Love Most is an excellent fit for our comfort food theme. During tonight’s Twitter chat, the Family Foodie will be giving away five autographed copies of Lee’s book–to enter, all you have to do is share your favorite comfort food during the chat. Lee Woodruff will be joining the chat as well. So how did this chicken end up being my brand of comfort food? It’s hard to say, as it’s not wrapped up neatly with a specific memory. My grandmother, my aunts, my mom all made some variation of the chicken in white wine, so for me, it simply takes me home. And I suspect my cousins would agree. First, the incredible aroma as it cooks will make you think you’re hungry, even if you’re not. And the taste, well, as one friend put it, how’d you get all that flavor to permeate the chicken? Don’t know, it just does. The best part? It’s super easy, AND you probably have all the ingredients in your pantry to make this tonight. While I’ve laid out specific measurements below, those are just guidelines–I never measure anything when I make this. 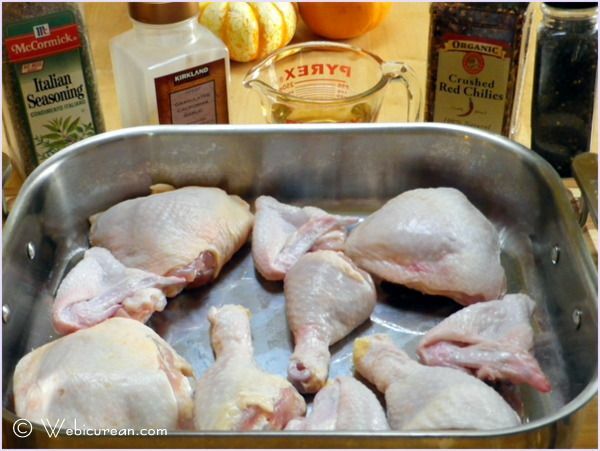 Wash and dry the chicken pieces and arrange skin side up in a roasting pan. Sprinkle with a generous amount of Italian seasoning (salt free) and garlic powder or granulated garlic, as well as salt and pepper to taste. I usually sprinkle on about 1/2 teaspoon of crushed red pepper too. Flip all the pieces over, and pour white wine evenly over the chicken. Next, sprinkle this side with a generous amount of Italian seasoning and garlic powder. Salt and pepper to taste. Place in a 375F oven for 30 minutes, then turn over the pieces so they are skin side up again, and bake for another 40 minutes until golden brown. That’s it! This savory chicken is roasted with white wine, garlic, and Italian seasonings; a perfect dish for Sunday Supper or any night. Arrange chicken pieces skin side up in roasting pan. Sprinkle with half of seasonings, then turn over. Pour white wine evenly over chicken pieces. Bake for 30 minutes, then turn pieces over, and bake for an additional 40 minutes or until golden brown. For this recipe, I used a combination of chicken legs, thighs, and wings. If roasting white meat, the cooking time may need to be adjusted slightly. Here are some additional comfort food recipes our #SundaySupper crew has prepared for you. Ditalini Italian SoupÂ by Mangiamo! We would be delighted to have you join us on Twitter throughout the day during #SundaySupper. Weâ€™ll be meeting up at 7:00 pm (Eastern) for our weekly #SundaySupper live chat where weâ€™ll talk about our favorite Comfort Food Recipes. We will also be giving away five signed copies of Those We Love Most , all you have to do is share your most memorable comfort food recipes. It’s as simple as following the #SundaySupper hashtag on twitter.com or you can follow us through TweetChat. 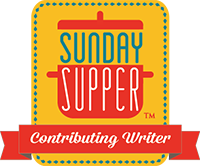 Weâ€™d also love to feature your easy go-to recipes on our #SundaySupper Pinterest board and share them with all of our followers. Next week stop by Webicurean for a slice of Sweet Potato Pie with Gingersnap crust. Note: I earn a modest commission for any Amazon.com purchases linked through this page. Oh how delicious and beautiful your chicken looks! Great pics! Comfort foods are often about the recipe and the memories. This is a great chicken dish, so golden and with flavor of wine! Oh my goodness…so easy and so delicious! Love cooking with wine. I could see me standing over and sopping up the juices with bread too. Yummy. Your photos are simply amazing and I love roasted chicken! Jen @JuanitasCocina recently posted..Biscuits and Chocolate Gravy ~ Comfort Food #SundaySupper! Sunday is our comfort food day! Great recipe, looks so warm and inviting. I think I can actually do this!! Thanks for sharing. Sunday comfort at it’s best. Wow, what an amazing dish! I absolutely love all the flavors in this! Your chicken looks perfectly crisp and divine!! Wow you look just like that actress on Criminal Minds! I am sure you have heard this before? I can so relate to sopping up the pan juices with French bread! Chicken looks simple and delicious – the best kind of comfort food. I love your recipe! I always use white wine when roasting a chicken. I got a recipe from Williams Sonoma ages ago and it has been my go to since. I may have to switch up next time I cook this classic dish and use your version! Thanks for sharing. Wow love how easy and delicious this looks. A simple roasted chicken is always a favorite in this house. 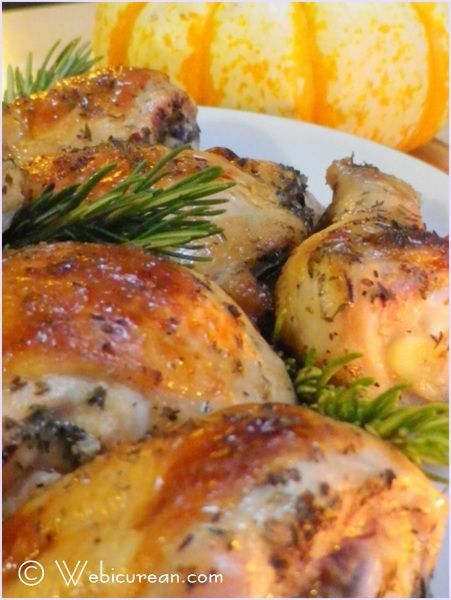 Anne, this roasted chicken looks absolutely perfect. I want to reach through the computer and pinch off a piece of that perfectly roasted skin. Yum. Pinned. Holy shnikeys this is fantastic. I love roasted chicken. I mean love, love, love it. I usually do it once a week during the winter months. Actually a Sunday tradition for about 20 years now. Something about hanging around the house on a cold winter day, letting the house warm up with that amazing smell wafting through. Yours looks perfect. You got the skin just right and I just want to reach in the screen and grab a piece. 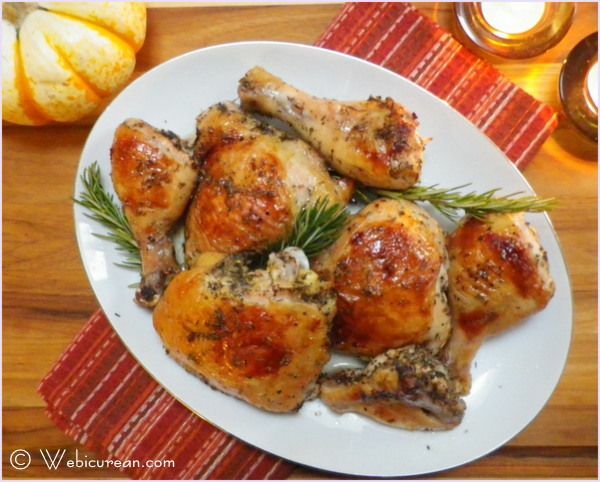 I LOVE chicken and this Roasted Chicken looks spectacular!!! Just lovely! I love it! Thanks for sharing! Oh, man, does your chicken look amazing! Browned to perfection…delicious comfort food! I can easily see how this would be comforting. I am excited to have my dear boyfriend smell it when he comes in after a long day. Yes, I agree comfort food is about nostalgia. To bring back wonderful memories, and connect us to our past. Your dish looks beautifyl! I must admit that chicken roasting is not my strength but now I can finally give it a try! Thank you for sharing! So simple! I saw this preview picture and knew I wanted to try it, but I cannot believe how easy it is! And you’re right…I have all of the ingredients! What a simply delicious recipe! Roast chicken is the BEST comfort food! Soo tasty and amazing. Comfort food SHOULD be uncomplicated and easy. I love this recipe. Thanks for sharing…. When my fiance was scrolling through facebook and saw this pic. He told me I need to make this. So I will! Thanks Anne! What a great dish and it looks gorgeous. Contrats on Foodgawker too! That chicken looks perfect! The color, the flavor – love it all! That is some beautiful roasted chicken! I love using Italian Seasoning on my chicken also. Mmmmm, I love chicken and garlic! This looks and sounds DELISH! We love baked chicken………any kind. I’ll be trying this one out for sure! I wish to grab a piece of the chicken now! This looks so delicious! sunithi recently posted..Better Candy Choices For Halloween ! This looks so beautiful! I’m sure it tastes even better. Has anyone actually tried this recipe? I don’t know about the commenters, but I make it all the time. Do you have a specific question or concern? I’d be happy to help! Thanks for sharing the amazing content. It looks yummy.Stuffing can likewise be utilized inside squash or comparative vegetables or served all alone as the ideal side dish to make a delightful, filling dinner. 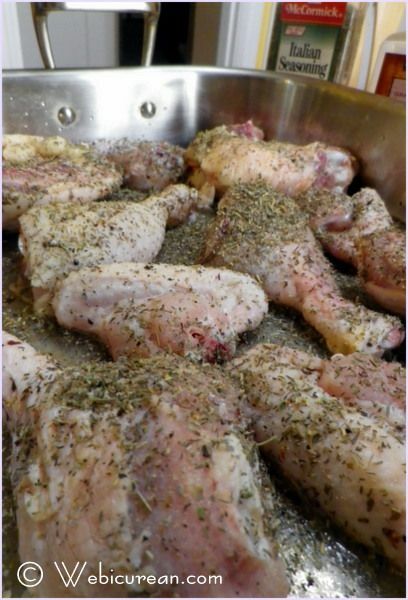 You have such a variety of formulas for leg quarters and simply basically chicken with a bone. when roasted chicken served with chicken biryani it is very yummy in our tummy. Is this dish covered when baking? No, I leave it uncovered as that helps crisp up the skin! Getting Comfortable with Chunky Chili Beans #SundaySupper | Mama.Mommy.Mom.